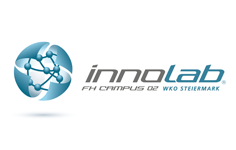 The innolab in Graz is the first place to go for inventors, entrepreneurs-to-be and people with ideas. We support our clients in all steps of the innovation process, starting with idea generation, business model design, networking, and communication. The innolab is an institute of CAMPUS 02 University of Applied Sciences where it closely cooperates with the degree programme “Innovation Management”.